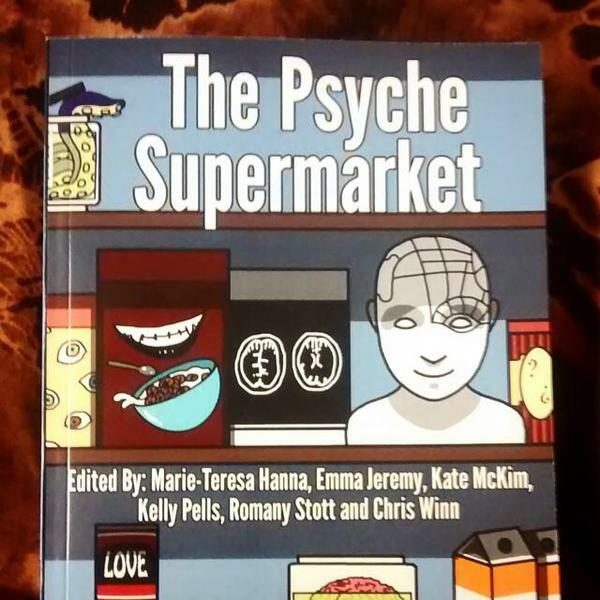 The Psyche Supermarket is nearly open for business! Photo courtesy of Romany Stott. After much anticipation, tomorrow (the 11th of March) will finally see the release of Brunel University’s second student-centric short story anthology! The book features a varied collection of stories dealing with a range of subjects and themes. Whether you’re looking for something experimental or something more traditional. From comedy to tragedy, cerebral to the downright weird, you can find it all down the aisle of The Psyche Supermarket. Not only are the stories by students but the vast majority of the project has been run by them too. Roles such as editing, cover design, marketing and event organisation have been led by the students and now all of their hard work is finally coming to fruition. At 7pm in the Antonin Artaud building the book will be launched in an event hosted by Katijah-Wellings Thomas and Chris Winn. The event will feature readings from Grace Hill, Thu-ha Hong, Oliver Jarvis, James Schubert, Halimat Shode and Katijah-Wellings Thomas, all of whom are in the anthology. If that wasn’t enough there will also be other acts there as part of the Arts @ Artaud event. This is a huge and exciting opportunity for the budding writers and we want to get as many people there as possible, it’s set to be an amazing night showcasing and celebrating some great young talent. During the night the anthology will go on sale at £5 a copy but be sure to grab one quickly because they’ll be in limited supply! Can’t wait for tomorrow but you still want to check out some of the writers featured in the collection? Then you’re in luck because we picked the brains of a handful of them in interviews which you can find on this blog right now. All that’s left to say is that we really do hope to see you at the event, let’s make it a night to remember!